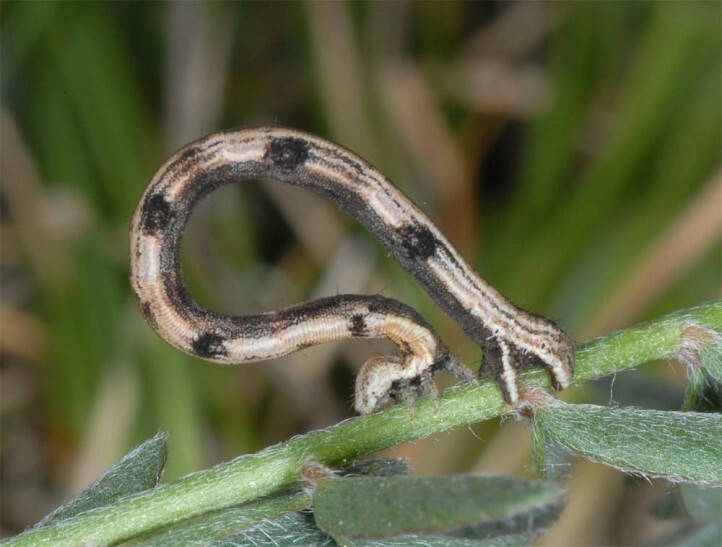 The caterpillar lives polyphagous on herbs of dry warm habitats. 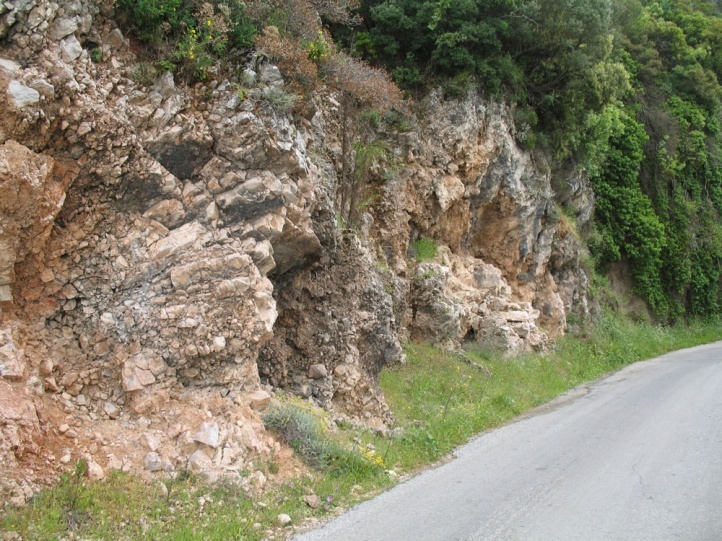 Scopula imitaria often uses rocks and dry slopes as larval habitat. 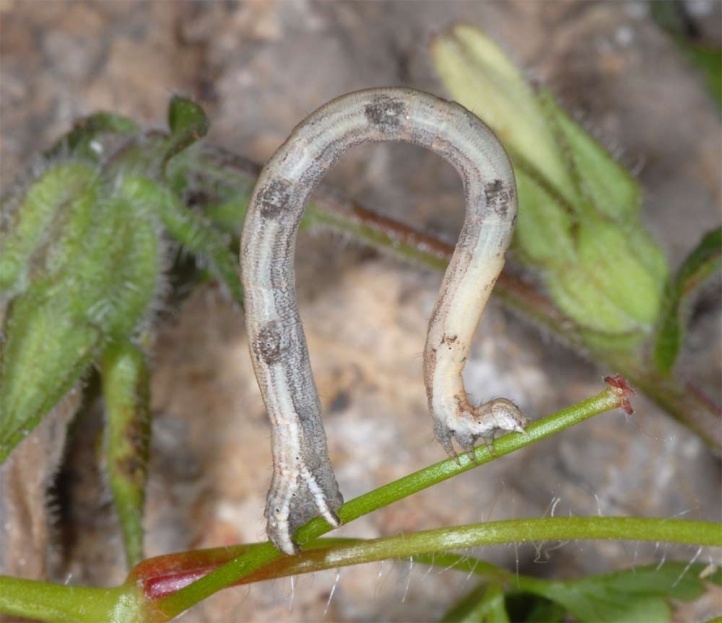 In Samos I found a caterpillar on a more or less vertical rock face along with those of Kirinia roxelana. 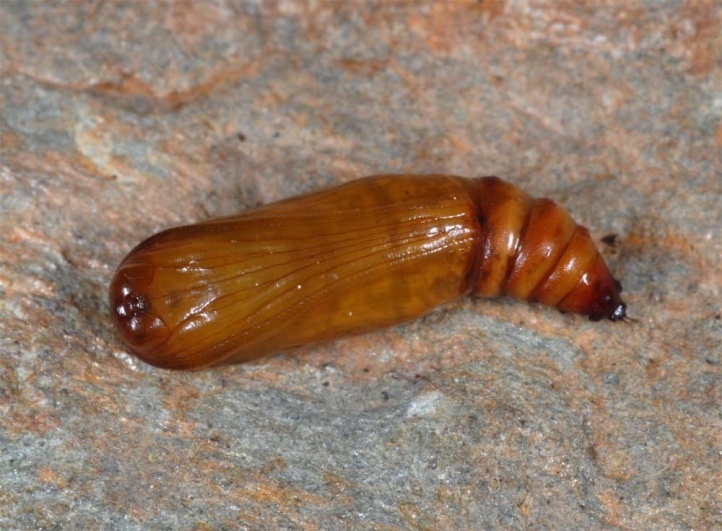 The caterpillar overwinters and is mature in May. The moths fly in usually two generations from late May to Septmber. 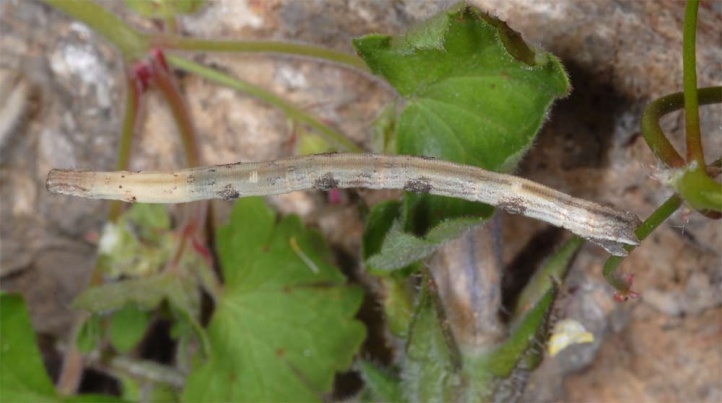 Scopula imitaria is widespread in Southern Europe and Asia Minor. To the north, it occurs to the southern edge of the Alps. It is rarely observed further to the north, as for example in the Upper Rhine Valley. Here nativeness is obviously uncertain, but likely. 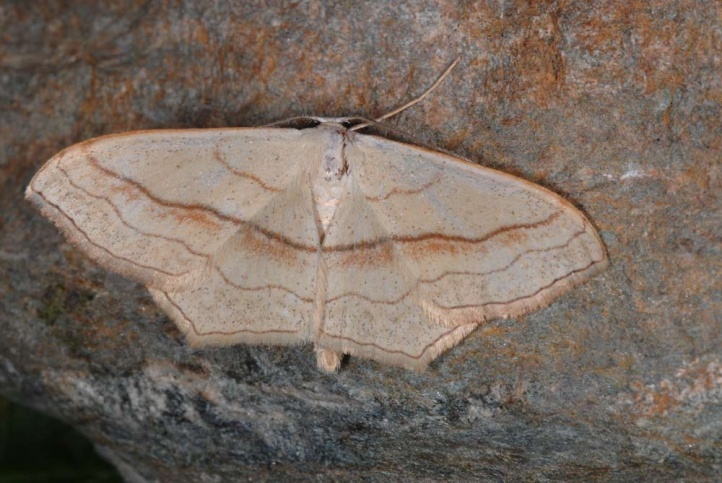 Possibly Scopula imitaria also benefits from global warming.